This week, we had two different speaking engagements. First up, Dave Meeker took the stage at Advertising Week’s Culture Stage to talk the future of commerce. Dave and the rest of the panel started things out by discussing the major shift toward mobile commerce the world has seen over the past few years. Right now 45% of commerce is mobile and by 2020, more than 50% of all purchases will touch mobile at some point throughout the journey. However, mobile isn’t the only place marketers need to place their focus. As we know, VR/AR/MR/XR experiences (whichever acronyms you want to use) evoke an incredible amount of emotion – something that all marketers should want to tap into. That said, we’re still about five years away from these emerging technologies coming to market in a meaningful way. We’ve said it before and we’ll say it again. The challenge is cost, both content and creation. AI and voice are the other hot button technologies top of everyone’s minds. But, as Dave shared with the audience, voice is the stepping stone, not the answer. Back when it first arrived, mobile allowed us to get away from sitting at a desk and being stationary. Where voice is at right now, puts us right back where we started – but, not for long. Voice is a step in the right direction of us making computers more human and that is where the real impact can happen, for commerce and everything else. Lastly, the panelists took a hard look at podcasts – the latest medium engaging an enormous audience. Everyone agreed that this was a very important trend for advertisers, but that no one quite had it right. Dave posed the question, is that because we (as consumers) don’t want it, or is it just that no one has done it? Some food for thought as we think about what’s coming next in commerce. Next up, Navneet Virk and Pandora Jewelry’s CMO, Charisse Ford, took the stage at Brand Innovator @ Advertising Week to talk all things data, digital and retail. 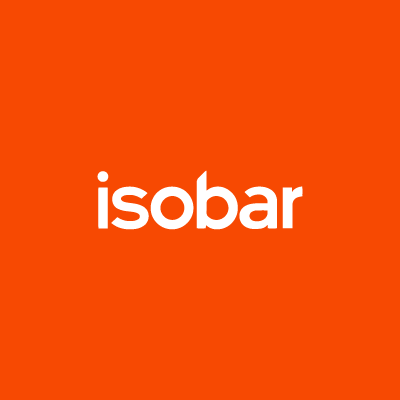 At Isobar, we’ve worked closely with Pandora to help them leverage data to create a strong digital strategy. Navneet and Charisse talked about what that really means and it all starts with understanding the consumer. Needs are not static. We need to be sure that we understand our consumers on a macro level, but also the signals they send so we can give them the right message at the right time as their needs shift. Charisse underscored the importance of adding value to the consumer journey and to do that effectively, you need data. Data can shed some pretty interesting light on your consumers – some things you may not even have wanted to know (especially when it comes to politics). However, in the end, it really allows you to be as strategic as humanly possible. A interesting insight that came out of our work for Pandora, was that one of their key segments is “cruise enthusiasts’ – go figure. As Navneet said, to wrap things up, don’t be surprised if you see a Pandora shop on your next cruise. 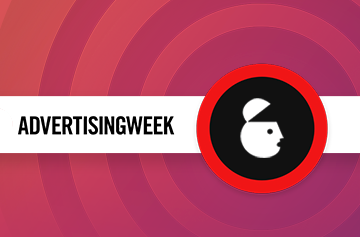 While Advertising Week can be a content overload, it’s always fun to hear how the industry is changing year over year. Stay tuned for our full wrap up!